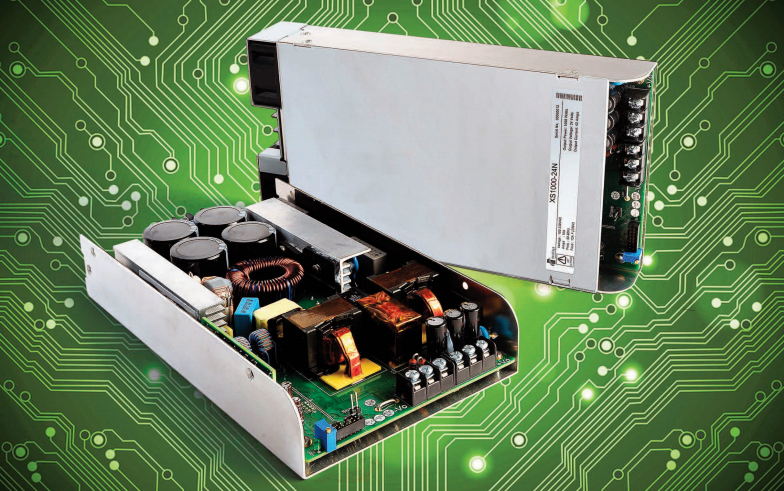 The Xsolo family of high efficiency, high reliability single output power supplies from Excelsys Technologies provides up to an incredible 1008W in an extremely compact package. Available in two package types, the high efficiency Xsolo delivers an incredible convection cooled 504W in an open-frame U-channel form factor and up to 1008W in an enclosed, fan cooled chassis. The Xsolo platform comes with a host of features including: variable speed fan, 12V/300mA isolated bias supply, remote ON/OFF, output voltage control and parallel operation for higher power applications. Nominal output voltages are 24V, 36V and 48V with wide adjustment ranges and user defined set-points. Xsolo now also meets CE101 and CE102 conducted emission standards by combining with the ASTRODYNE-LCR F19374 High Performance Single Stage Power Line Filter. The ASTRODYNE-LCR F19374 Filter is designed to bring the complete Excelsys XF Modular Power Supply Platform and the Excelsys Xsolo Platform to compliance with MIL-STD 461F, CE101 and CE102 conducted emissions under various loads.